You may feel pushed into blind experience here to find your truth. The 9s in this position can represent a massive letting go. 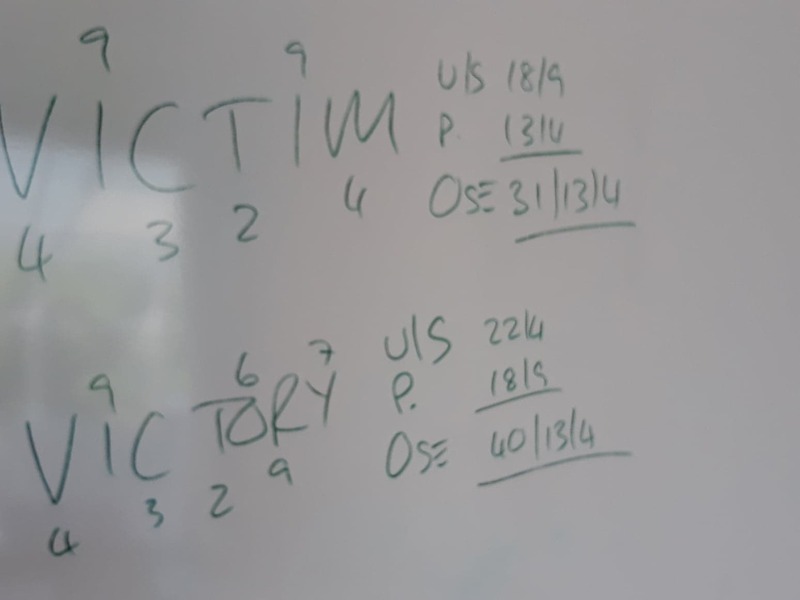 The 8s represent re-evaluation and movement, as everything potentially comes up to be transformed. The potential’s always there … Have a great Tuesday!!! Great potential for harmony laughter, joy and co-operative ventures here. The motivation is to take responsibility for harmony and love to prevail (6). 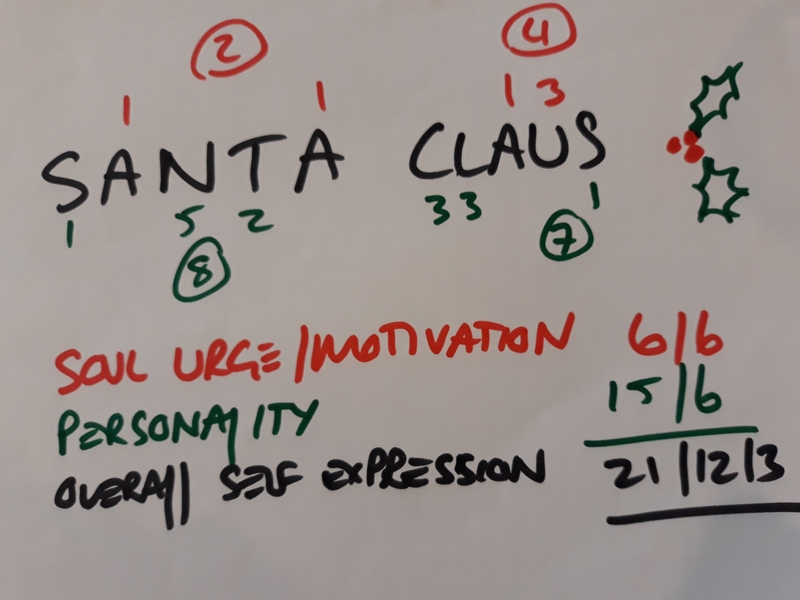 Initially wiĺl (1) may be driving the emotion )2) and there is the potential for the ‘little princess’ to emerge, wanting to be the centre of attention (21/ 3), but by taking the decision to move to the higher ground (15/ 6) there is the potential for the love wisdom (2) to come in to influence the will (1) and for truly co-operative ventures to result (12/ 3). The motivation here is to re-evaluate how best to help others, when we may be holding on too tightly to a structure that may have gone (18/ 9). The essence of what is happening is about us embracing change by thinking in new ways (50/ 5). Overall it is about breaking out of the box to think in new ways and to find freedom despite the limitations. We may feel very unsettled wanting the security of the existing structure as well as the freedom to do things in new ways … when we may have to focus on practical communication (68/ 14/ 5). Our ‘Date of Birth’ can be defined as a moment when time and space truly connect – a cross in time and space that becomes our starting point. Time is a manmade measure, both linear and flat. It is a way of ordering events in the past, present and future. Space can be defined as a continuous expanse, the size and magnitude of which is still beyond our comprehension. It’s only natural that we compartmentalise, to make manageable that which we cannot comprehend. 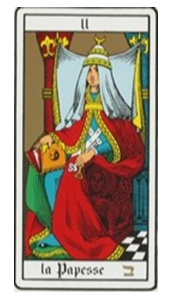 TIME has the letter T at the front; this 2 energy can be represented by the second Tarot card, ‘The High Priestess’, which is about going beyond the veil into the mystery. The 2 takes us into the mystery, brings in duality and helps us to see the detail as well as the much bigger picture. Ultimately, in time the 2 helps us to be a channel with great breadth of vision, catching a glimpse of all that is beyond intellect and focussing on the bigger picture not just the detail. 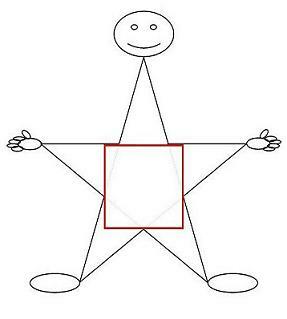 The 20 in the ‘Overall Self Expression’ elevates the 2, brings in space and potential for wholeness. The key aspect of the 11/ 2 is the space that comes from the will (1) to go into the mystery (2). 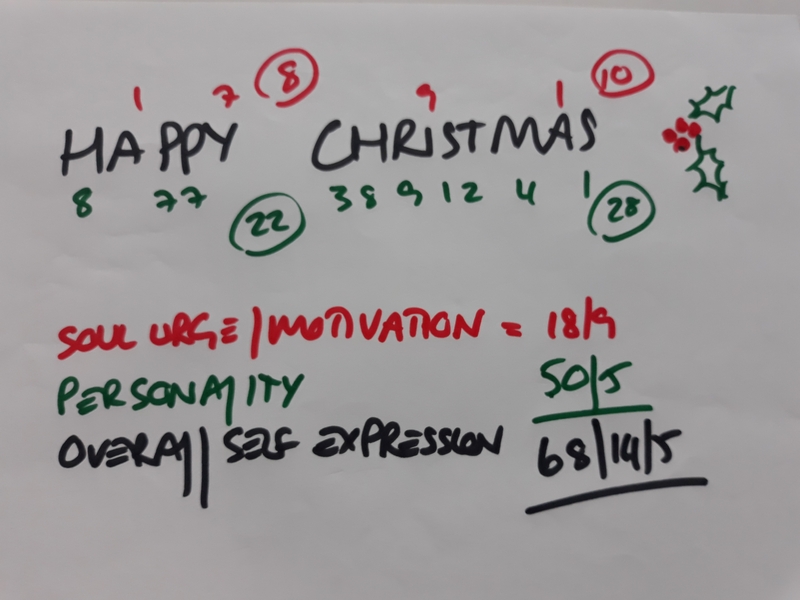 (Overall Self Expression for the word TIME = 20/ 11/ 2). 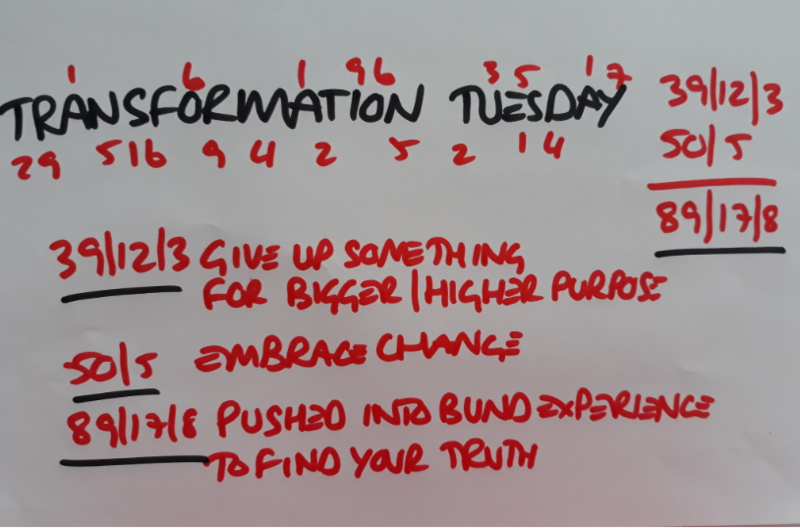 The ‘Soul Urge’ or ‘Motivation’ that comes from the word TIME (14/ 5) is all about breaking out of the box (4) or manmade limitations – using will (1), mind (5) and your 5 senses to find your truth in amongst the vastness of space. The Personality (6) that comes from the word TIME represents the potential for spirit and matter to come together, for us to uncoil to become a cup for spirit, to see the beauty without the perfection of everything being compartmentalised and symmetrical. As spiritual beings, having a very physical experience, each molecule around us and within us contains the universe. Spirit and matter potentially can come together within us when past, present and future align in a moment that pierces eternity. In these moments time stands still, as we break through the man made constraints of time, to pierce eternity. Moments such as these can be moments that we carry with us forever. The word SPACE starts with 1, the dynamic will and unstoppable generator that can carry on forever, ultimately connecting us with great spirituality (7) and potentially causing great re-evaluation (8) as we seek to find and live our truth. 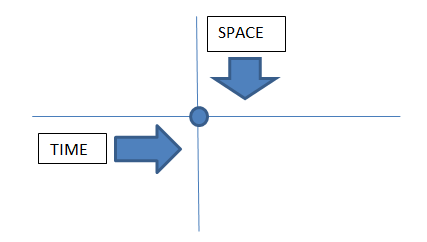 (OSE, Overall Self Expression for the word SPACE = 17/ 8). The ‘Soul Urge’ or ‘Motivation’ that comes from the word SPACE represents the potential for spirit and matter to come together, for us to uncoil and become a cup for spirit, connecting with a vastness and magnitude which is beyond our comprehension. The Personality (11/ 2) that comes from the word SPACE gives us the potential to channel this understanding, existing in the eternity of every moment and connecting with the great universe of spirituality within us. (Please note that the above images and numbers are further explained in the Free Numerology Guide that can be downloaded from the home page of this website). 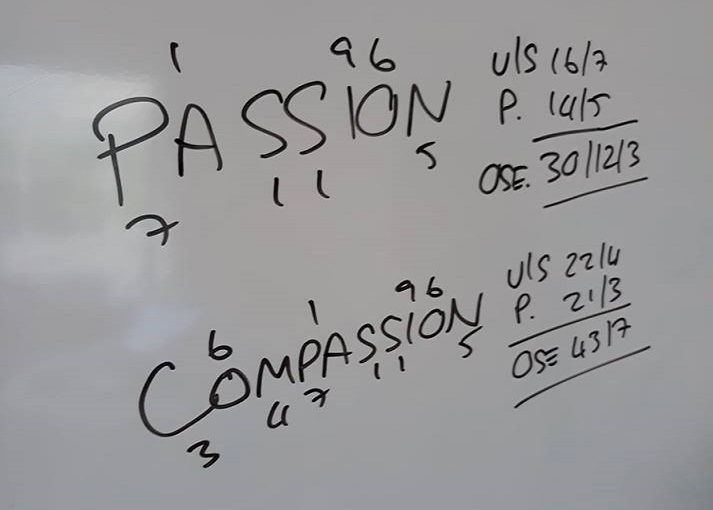 The numbers for ‘Passion’ are about finding the treasure on the inside (16/ 7), so as to break out of the box communicating this (14/ 5 the messenger), uplifting others with your vision and making the trinity viable (30/ 12/ 3) (4×3=12).